Most real estate agents simply list homes. Thinking about selling your home? We want to help! We are committed to working with our clients individually, and taking the time to understand the unique selling points of your home and neighborhood. We have built our business on results, and we have the experience and know-how to put a “SOLD!” sign on your property. We use our expertise to help you sell your home smoothly, and for a top price. There are a lot of details to be handled when selling a home, and it’s our job to streamline the home sale process for you, ensuring everything is completed as quickly and efficiently as possible. We want your home to be shown in the best possible light to prospective buyers to get you top dollar in the shortest amount of time. We will create a warm and inviting environment focusing on the best architectural features and selling points of your home. We make sure your home is shown in the best light possible, and this means making it really shine through top-notch, professional photography. We utilize professional photography and sleek graphic design to show off your home using beautiful property flyers to create a memorable impression. When you list with us, we have access to the Keller Williams Listing System or KWLS. This proprietary, exclusive system ensures your property is marketed online 24/7 through more than 350 of the most popular search websites. 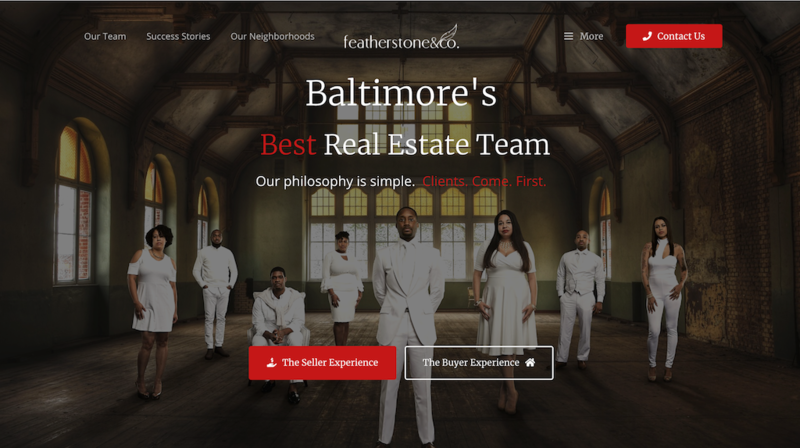 We invest a great deal into our website, and not only do we feature your listing on a unique and beautiful listing page, but we also feature a wide range of information for buyers and sellers, neighborhood guides, plus up-to-date community information and recommendations on our blog! This also includes original blog posts that highlight each home’s defining features. As well as 3-D tours that allow someone to explore your listing from the comfort of their own home before they visit it in person. Facebook is a powerful tool to reach buyers with, and we showcase our listings on Facebook and create sponsored ads to reach people on the most popular social media platform. Yes. There is a benefit to making sure your home looks its best prior to offering it for sale. There are also small remodeling jobs that will pay off at resale. I can advise you about specific improvements that will increase your home’s marketability and value. How often will you advertise our property? I don’t just list homes; I market them. I will make sure your home is marketed to potential buyers around the clock, 24 hours a day, 7 days a week. I will customize a marketing plan to reach the types of buyers most likely to purchase your home. I know how to maximize the power of the Internet for my clients, while also using traditional methods including newspaper ads, brochures, yard signs, and direct mail. Will you be present at all showings? At open houses I or a member of my team will be there. For showings, potential buyers will bring their own agents to see your home. Most buyers prefer only their own agents be present when evaluating a prospective new home. What is another agent tells us they can get us more for the house? Some agents will quote a higher listing price just to get your business, but an overpriced house will not sell. If you choose to work with me, I will conduct a comparative market analysis prior to recommending an asking price for your home. I will explain how I arrived at the price, but ultimately the decision is up to you. I will offer my professional opinion on how the market will value your home. I will help you consider each offer and negotiate the best deal for your. Once you’ve accepted an offer, I will guide you through the entire closing process and ensure everything proceeds smoothly. With more than 150,000 pageviews in 2016, our Property Stories gave our Sellers that advantage. That's why more than half of those listings sold within the first week. And why more than half of them sold at, or above, list price. Hiring the right real estate agent is all about finding a professional you respect and trust will help you achieve your goals. It's also critical they have a proven track record. We've built a team of professionals to enhance the quality of service we deliver to our clients. We use cutting edge technology to dramatically improve the speed, efficiency and innovative capabilities in every part of the transaction. Our approach is unique & different! Learn more about how we use the latest & greatest technology & marketing strategies to get your home sold in less time, & for more money. Are you ready to Love ❤️ Your Listing? Selling Your Home Is a Major Life Decision! Our Marketing Sells Homes.. Let's talk!